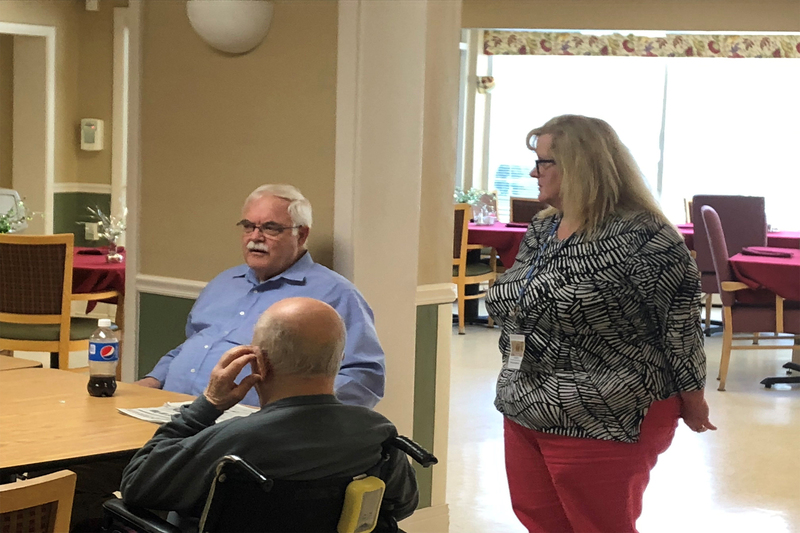 Thanks so much to State Representative Whit Betts for taking time out of his schedule to tour and visit with our residents on Monday, 3/11. Rep. Betts spoke with our hardworking Countryside staff as well as some of our wonderful residents about issues affecting the state and upcoming legislative session. We discussed the need for Rep. Bett’s support for a 4% Medicaid rate increase. The flat nursing home Medicaid funding for the last 12 years has put a strain on the skilled nursing home industry. Nursing homes are taking care of more medically complex, which costs a great deal more. We thank Rep. Betts for such a great visit!